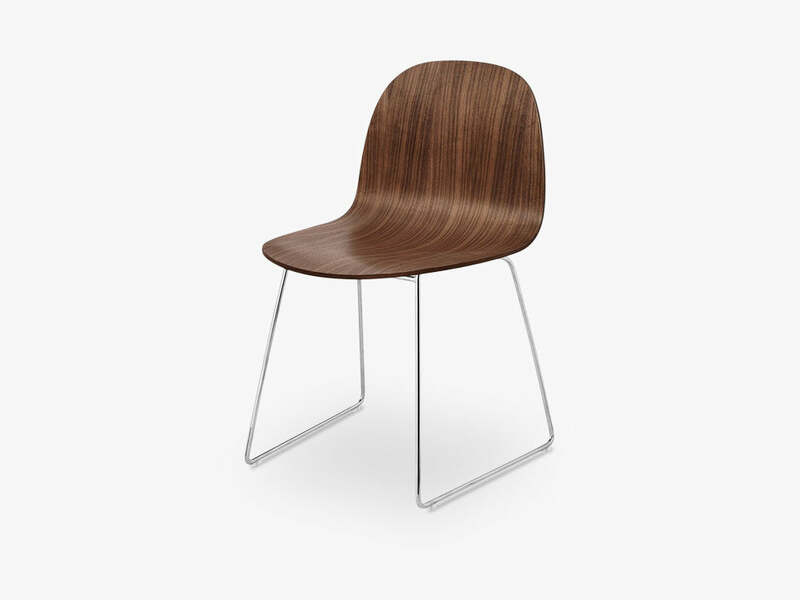 GUBI laver de smukkeste Spisebordsstole og 2D Dining Chair er ingen undtagelse. Skallen i denne udgave hedder American Walnut shell og stellet er Sledge Crome base. 2D serien er designet af Komplot Design for GUBI. Produktets dimensioner er: 55 x 53 x 80 cm. Varenr. : 21012-40. 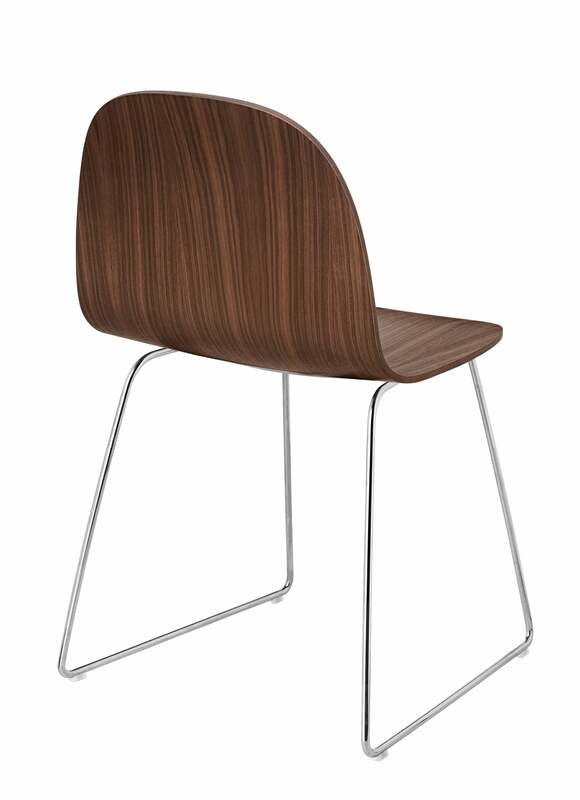 Om produktet siger GUBI selv: The GUBI 2D Collection is a series of light dining chairs and stools made from laminated veneer with a wide range of applications. It is an extension of the iconic GUBI Chair Collection from 2003. The series is defined by a more sleek, minimalistic chair with two-dimensional veneer shell that can be mixed and matched with a wide series of wooden or metallic bases..